In the commercial sectors, people get hurt all the time and the injuries are inevitable. A majority of workers are residents, but there are a few cases that involve customers who visit business premises. The unfortunate thing is that some of the injuries result in short-term and long-term disabilities. 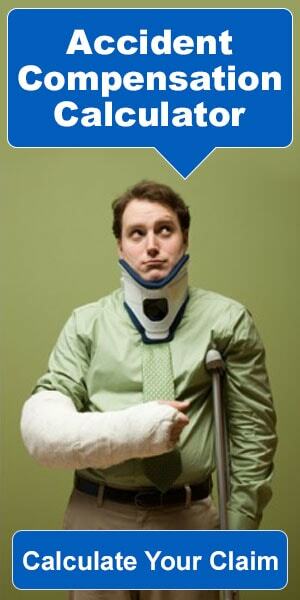 If a worker, who is covered by an insurance policy, gets injured on duty, he or she should be compensated. Compensations also apply to occupational illnesses. Normally, the medical costs and cash benefits are paid by the employer’s health insurance company on a weekly basis. This is with respect to temporary disabilities. However, if the employee suffers a long-term injury that prevents him or her from working, the worker is entitled to long-term disability benefits. What Conditions Are Associated with Disability Claims? The most notorious conditions that compel victims to file for commercial disability claims include cardiac conditions, chronic fatigue, diabetes, knee difficulties, and fibromyalgia. In essence, an employee who can’t work due to any of these conditions suffered at work is disabled in the eyes of the law. Most companies buy group policies to cover themselves and their employees from disabling injuries and illnesses. How Is the Disability Claim Handled? For an employee on contract, it’s likely that the employer has bought an insurance policy to cover him or her. In case such a worker suffers a disabling injury, the insurance company is obliged to pay the medical costs. If it happens that the employer is not able to cover the employee, maybe because the company is a startup or the job is a casual one, the employee is advised to seek a private policy to buy. When deciding what insurance policy to purchase, one can choose between a long-term and a short-term policy. The process for filing for disability is quite straightforward. If the employee wants to claim compensation for a short-term disability, it’s advisable to approach a top disability attorney first. The attorney will help the employee demand compensation from the employer. In situations where the insurance policy does not cover the employee extensively for the disability suffered, the worker can take the employer or the insurance company to court. A few things have to be considered though, including the period that the worker has been working for the employer and the number of hours worked per week, normally at least 30 hours per week. What Is the Standing of the Employer? He or she has to determine if the employee is permanently or temporarily injured. In case the employee is proven unable to work, the employer has to determine the extent of the injury. Legally, the employer should find a way to accommodate the victim until after the disability in corrected. This applies to temporary disabilities. The employer can seek alternative duties or employment for the employee in case of long-term disabilities. What’s Next for Both Parties? Commercial health insurance evaluates the worker’s medical situation before offering compensation. This is done with the aid of the medical reports submitted by the victim’s doctors. After the commercial disability claim is approved, benefits are paid to the employee, and they depend on the extent of the disability. Typically, the benefits are paid on a monthly basis. The process for filing for the commercial disability claims is simple provided you have access to the right information. You’ll need a legal team experienced in handling disability claims to help you get the benefits that you deserve.